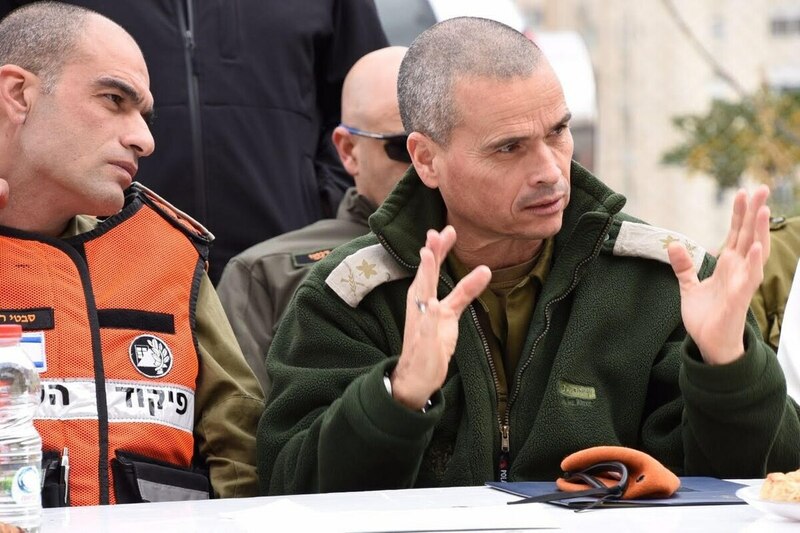 TEL AVIV, Israel — For nearly two years, Yoel Strik's mission as head of Home Front Command was preparing Israeli civilians, government agencies and local authorities to carry on as normally as possible and for as long as possible during protracted rocket and missile attacks. He's now transitioning into his new role as commander of the Lebanon and Syrian fronts, where his forces must be ready to maneuver swiftly and efficiently through enemy territory in order to expedite an ending to the next war in the north. In both jobs, you're essentially dealing with the same threat — some hundred thousand rockets and missiles beyond the northern border — but in completely different ways. Please explain. In Home Front Command and in all the civilian agencies we work with, we are preparing for protracted war. It's a state of mind, where municipal authorities, government ministries and those operating our critical infrastructure must be prepared for what we call "emergency routine." We know this is an inherent contradiction, but we need to create normalcy from the chaos. We understand that the next war won't end in a matter of a few short weeks, and we need to ensure, wherever possible, that people can go to work, that kids can go to school and that we have enough food, fuel, medical supplies, money in the automated teller machines and all things necessary to carry on. And in Northern Command, where you'll assume command later this year? Just the opposite. From the military perspective, the mission of our divisions and brigades down through the chain of command is to narrow the period of fighting and to remove the threat as fast as possible. The [Israel Defense Forces] IDF knows it needs to shorten the war-fighting period, but at the same time, the homefront needs to be resilient enough to function as long as it takes for the military effort to succeed. Obviously moving from Home Front Command to my next job gives me a crystal-clear understanding of how important it is to eliminate the threat to the homefront as fast as possible. So what's the realistic threat scenario? We hear of 100,000 rockets and missiles, many of them with ranges that cover the entire country. When I imagine the scenario to the homefront, numbers are less important than the fact that there will be a very broad and sustained threat over the entire country. Hezbollah and others are built to harm civilians — theirs and our own — with rocket and missiles of varying precision, ranges and warheads. It's a paradox in the sense that the IDF is building ways to combat these threats while minimizing as much as possible risk to uninvolved civilians while the other side has intentionally deployed its arsenal in places that compel us to combat these threats in a civilian environment. 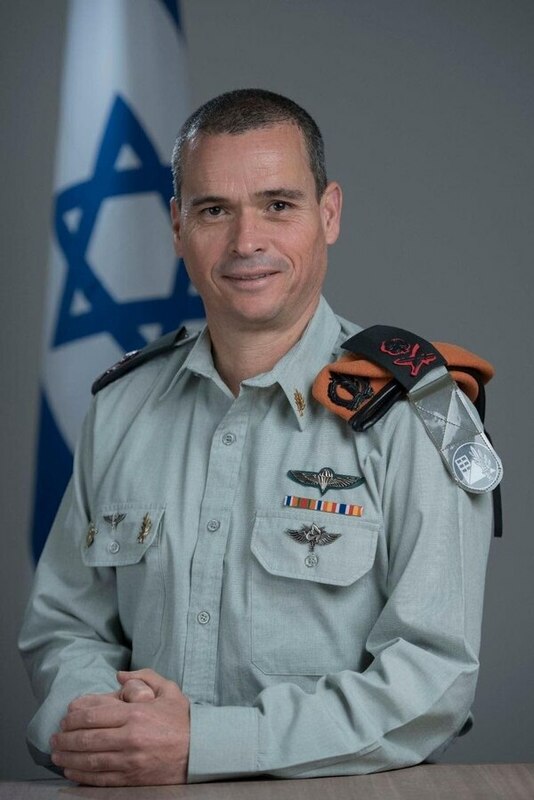 Maj. Gen. Yoel Strik recently transferred from commander of Israel's Home Front Command to commander of Northern Command, the theater of operations responsible for fighting the next war with Lebanon and/or Syria. Still, what kind of numbers are we talking about, in terms of the threat? There will be tens of thousands of impacts throughout the state of Israel. We're talking big numbers. There will be areas that will be less harmed and areas that will be more harmed, especially those areas within 45 kilometers of the border. There could be hundreds or even thousands of impacts each day in certain areas; a pace and intensity that could change according to the enemy's decision. But this capacity for continued operations against our homefront will cause large disturbances, no doubt. With millions of civilians under direct threat, are there plans for mass evacuations during the next war in the north? First of all, we understand that our home is our castle. Nobody wants to be refugees in their own country, so wherever possible, our public awareness campaign focuses on all those things that must be done to allow families to stay put. That said, we understand that the story of settlement — which was an inherent part of the ethos of the state of Israel — is less relevant today. So we are building the capacity and engaged in very broad planning to evacuate, if and when necessary, all those close to the border. How many are you talking about? Again, as a rule, we don't believe in massive or automatic evacuation. We believe that citizens, communities and families can protect themselves. But if the threat is immediate and direct to civilians, we will be prepared to evacuate. And if the scenario demands that the IDF needs civilian areas to ensure freedom of maneuver, we will evacuate. We're talking zero to 2 kilometers from the border; about 95,000 citizens if the entire plan is implemented. That's for all fronts, including Gaza? Yes. That's the entire program in Gaza, Lebanon, the Golan Heights, everything. But we don't believe that we'll implement this entire plan, which was built around worst-case scenarios. When you say worst-case scenario, you mean enemy infiltration into Israeli communities, rather than the rocket threat? As I noted, the rocket threat is most acute to those within 45 kilometers of the border. We have no plans — even worst-case scenario-driven plans — to evacuate the millions residing within 45 kilometers of our borders. Tell us what's been done to bolster resilience among the civilian population in the face of such threats. Our population doesn't break easily, especially if you implement the key principles of early warning and physical protection that improve our chances of allowing normalcy amid chaos. Early warning is becoming ever more localized and precise, right? When Home Front Command was first established in the 1990s, there were three areas of early warning. Today, we have 260 areas, and by 2018, we'll make a huge leap in dividing the country into 3,000 areas of early warning. That means that each community will be encircled in a polygon, each measured by 1 square kilometer. We'll know how to isolate threats within many communities so that, for example, if a rocket falls, we'll know through our sophisticated early warning if it's destined to fall in a civilian area rather than an industrial area. In those cases, citizens go into shelters or protected rooms while industrial areas can remain open for business. That's how we'll be able to implement normalcy through chaos, or our emergency routine. Other than the Color Red sirens that sound, what other ways are citizens warned of imminent threats? Early warning is provided in multiple forms, from text messages to television and radio broadcasts to a home warning system where we'll have a box to add to the cable box, which provided warning straight into the home. The state of Israel is the most protected state in the entire Middle East, perhaps the entire world. No other place is building residential units, roads, bridges and infrastructure to protect not only against the rocket and missile threats, but against earthquakes. Almost 70 percent of the population has ready access to some type of protection, either a safe room or shelter. Schools, kindergartens, places of business, by and large, have appropriate protection. And we're continuing our efforts to keep pace with the 40,000 new residential units being built each year. But make no mistake, you can't protect everything. With regard to active protection, Israel has the Iron Dome and other layers of its multilayered threat-intercepting network. In the last Gaza war, we saw cases where families have opted to pose alongside Iron Dome batteries rather than seek shelter. Have Israelis been lulled into a sense of complacency as a result of this phenomenal protection? Iron Dome has been a huge success. But it has caused us in Home Front Command big problems. It's been a huge operative and strategic achievement; almost a miracle. But it has created challenges for us because people are tempted to disregard our directives and witness these interceptions. In the end, we're counting on our citizens to use their intelligence and good instincts and take cover when the situation requires it, and not rush to take selfies of this made-in-Israel miracle.